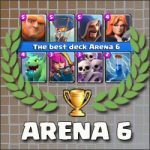 Arena 4 best Giant Skeleton deck | Clash Royale fan-site! 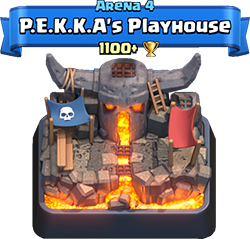 P.K.K.K.A’s Playhouse is the fourth Arena in Clash Royale. The total amount of available cards on this stage of the Game is 38, accordingly there is plenty to choose from and players’ battle decks become more diverse. 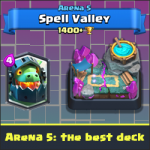 In this post, I’ve described the best Giant Skeleton deck for Arena 4, with the help of which I managed to reach Arena 5, being a 1 level player. Moreover, all cards in my battle deck has 1st level also. 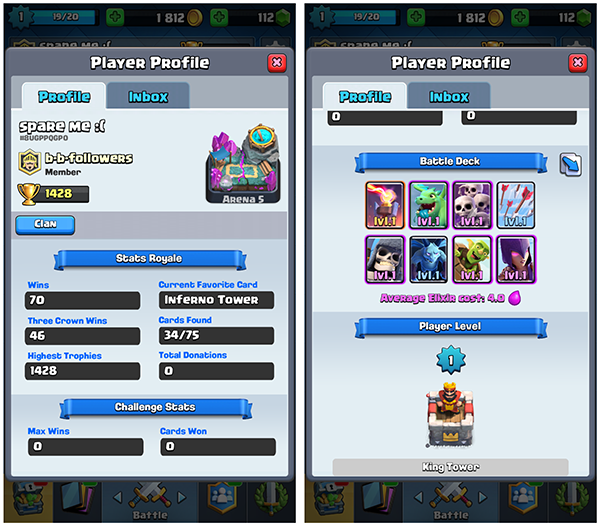 In the picture below, you can see my game statistics: the number of trophies, arena where I play and my battle deck. Video of successful battles against players of 6 and 7 levels in the bottom of the post. Goblin barrel. Very useful card in attack. 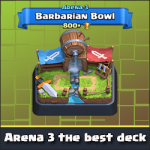 Without Goblin barrel, I wouldn’t reach to the fifth arena. Thanks to the combination of Giant Skeleton and Golem barrel, I got many victories over much stronger opponents. Inferno Tower, Skeleton Army and Minions. Three main cards for the defense in this deck. These three cards cope great with tank-type characters like P.E.K.K.A, Prince, Giant, etc. Arrows. Spell card. The main purpose of this card is eliminating of swarms enemy troops with low hitpoints (skeletons, minions, goblins, etc.). 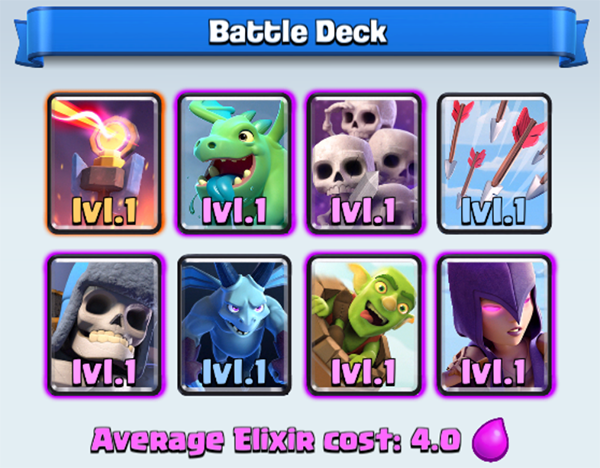 Giant Skeleton and Goblin barrel – the main attacking combination in this deck! But throw the barrel only after opponent’s troops and tower started attack the skeleton. In other case, goblins would be eliminated relatively quickly. Inferno Tower is a very important part of the defense! Don’t replace this card for any other. The best place for Inferno tower on the battlefield is in the center of your side of arena. Such position makes the opponent’s tank-character to change its rout and gives you more time to eliminate it. Short video with the two last battles before promoting, from which you can learn how to play with such deck and defeat much stronger opponents. Pay attention that in the first battle, opponent of 7 lvl haven’t managed to make any damage to my Towers at all. 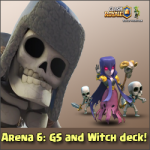 Tagged Arena 4, Decks, Giant Skeleton.